Iron Jawed Angels tells "the true story of how a pair of defiant and brilliant young activists took the women's suffrage movement by storm, putting their lives at risk to help American women win the right to vote." More specifically, it focuses on Alice Paul and her influence on the women's suffrage movement. 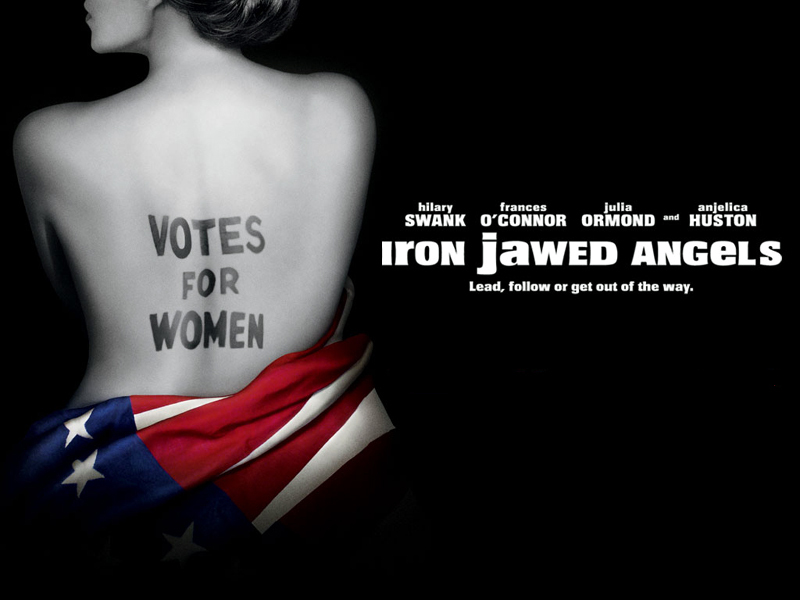 The term "iron jawed angels" was coined by Senator Joe Walsh in 1917. "The suffragists were called Silent Sentinels because they stood without saying a word while picketing the White House." This blog will compare and contrast the movie to the news coverage as well as the facts. For a movie representation of our research, please visit http://www.youtube.com/watch?v=DRVCMPBuNpQ. "It was we the people; not we, the white male citizens; nor yet we, the male citizens; but we, the whole people, who formed the Union...Men, their rights and nothing more; women, their rights and nothing less."